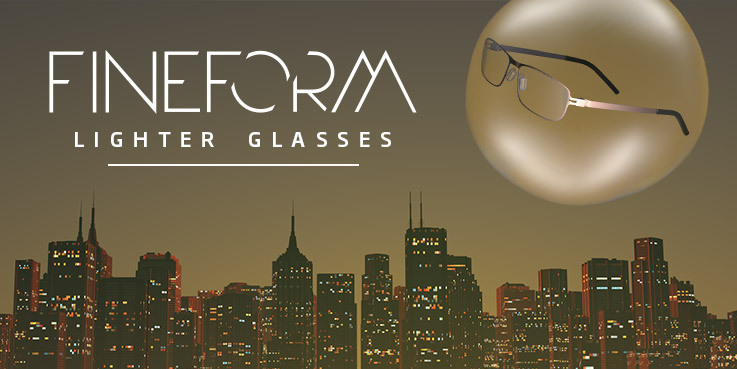 Using innovative technology, the Fineform range has been specially engineered to create frames that are exceptionally light and subtle on the face. A fine groove is cut into the lens edge, allowing the frame to partially sit inside the lens, rather than act as a mount surrounding the lens. The materials used result in a frame so lightweight, you won’t know you’re wearing it. Designs in the women’s collection are characterised by a playful splash of colour, bringing new life to every wardrobe, while the men’s frames have a fine, minimalistic look. Fineform frames are 199 €, including Extra Thin + Light lenses, and are included in the Specsavers 2 for 1 offer. A dark blue, stainless steel frame, complemented with light, matt gunmetal grey on the inside and smooth, deep blue temple tips that have a carbon effect finish on the outside. The square-shaped lenses and neat compressed hinges create an undeniably sharp look. 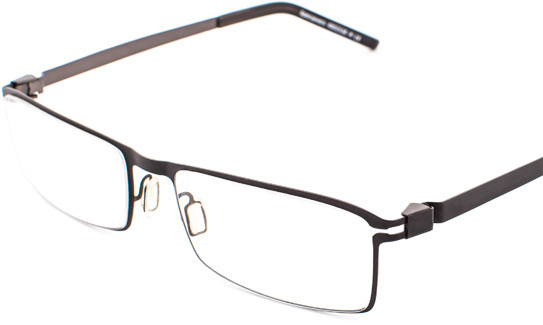 A sleek, stainless steel frame, with matt black on the outside and gunmetal grey on the inside. The flexible sides are finished with solid black temple tips that have a masculine carbon effect on the outside. Square lenses and compressed hinges complete this fresh, edgy look. This is a twin-coloured, stainless steel frame with matt charcoal-black on the outside and a dynamic metallic pink on the inside; matt, dark pink temple tips unify the two frame colours. The cat’s-eye front, together with the fine line hinge, makes for a sleek and sophisticated look. These amorous glasses exude fun, while still being practical for all occasions. 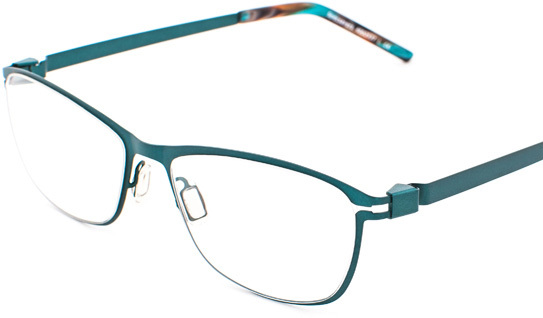 This distinct stainless steel frame is beautifully coloured with a metallic teal green. The temple tips are coloured with a rich, mottled brown and teal green. 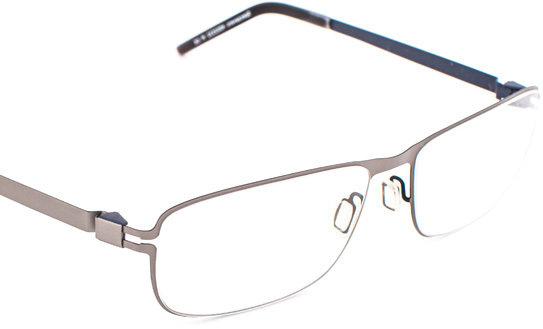 Flexible sides, neat compressed hinges and angular lenses all add to this sought-after, contemporary look. Turn heads for all the right reasons in this dual-coloured, stainless steel frame. The dark blue outer sides, with light, matt gunmetal grey on the inside, are accented with the smooth, deep blue temple tips. A carbon effect finish features on the outside of the temple tips. The lens shape works in unison with the neat compressed hinges to create a cool, fresh look. Stand out from the crowd in this tantalising dual-coloured, stainless steel frame. With a bold, dark, metallic purple on the outside and a shimmering metallic green on the inside, both colours are brought together by the dark purple, matt-finish temple tips. Semi-rimless, square-shaped lenses reflect the overall chic feel to this design. A vibrant energy emanates from this glossy, mulberry purple frame. 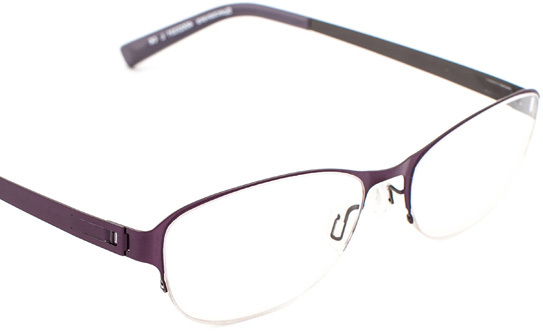 The dark grey inside the stainless steel frame creates a fresh contrast to the sleek mauve-grey temple tips. The cantilever hinge detail, accompanied by oval-shaped lenses, perfectly balance this design. 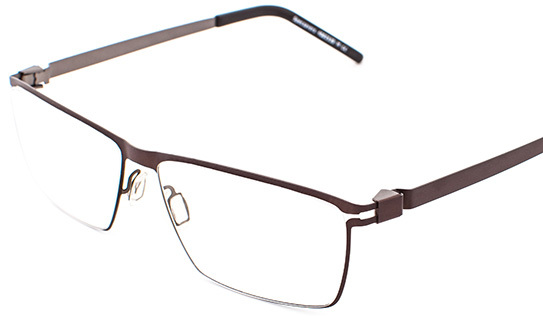 This dark bronze coloured, stainless steel frame subtly blends into the matt dark brown temple tips. A hint of the contrasting, vibrant, metallic wine-red on the inside of the frame can be seen from the side when the fine line hinge is folded. A stainless steel frame, twin-coloured with light, matt gunmetal grey on the outside and a cool slate blue on the inside; black temple tips complement the frame colours. The stylish edges of the square-shaped lenses echo in the compressed hinge, which is a sleek yet functional design feature. A dual-coloured, stainless steel frame with metallic blue on the outside and satin silver on the inside, finished perfectly with light and dark blue marbled plastic tips. The square-shaped lenses are matched with a compressed hinge that brings a sleek edge to the side of the frame. A rich bronze-brown, stainless steel frame, with a kick of vibrant turquoise colour on the temple tips. Being a semi-rimless frame, the lower rim is almost invisible. The lenses are discreet so that all attention is drawn to the stylish frame design, finished with an elegant cantilever hinge. This stainless steel frame sports a masculine matt brown on the outside, paired with a solid gunmetal on the inside. Angular-shaped lenses are complemented with a slick, compressed hinge. The flexible sides are finished with temple tips that have a brown carbon effect on the outside and solid, jet-black colour on the inside.